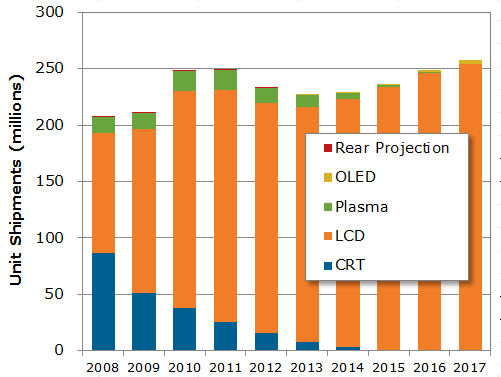 NPD DisplaySearch finds the 4K×2K TV shipments are expected to total 1.9 million units in 2013, rising to 12.7 million units in 2014. China is said to have an 87% share of 4K×2K TV units in 2013, dropping only slightly to 78% in 2014. 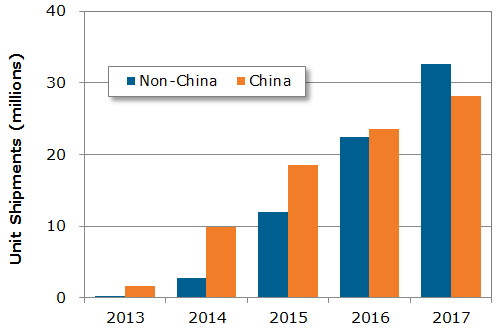 NPD DisplaySearch says 4K×2K TV average prices are expected to fall below $1,000 in China during 2014, while the worldwide average remains over $1,100 and close to $2,000 in North America.